2019 Jetta S Manual Transmission VIN: KM162919, MSRP: $20,025. Offer requires $0 down payment, $0 first month’s payment, $0 security deposit. Tax, tag, title, $20 third-party tag agency, $299 electronic filing fee, $675 acquisition fee, and $899 dealer fee due at lease signing. Monthly payment is plus tax. Based on a 39-month lease with 7,500 miles per year. Limited availability at this price. Must qualify for all applicable rebates. Offer valid with approved credit through VW Credit, Inc. Offer cannot be combined with any other offer, sale, promotion or advertisement. Picture for illustration purpose only. See Gunther Volkswagen for complete details. Offer expires April 30, 2019. 2019 Passat Wolfsburg Edition VIN: KC000825, MSRP: $27,425. Offer requires $0 down payment, $0 first month’s payment, $0 security deposit. Tax, tag, title, $20 third-party tag agency, $299 electronic filing fee, $675 acquisition fee, and $899 dealer fee due at lease signing. Monthly payment is plus tax. Based on a 39-month lease with 7,500 miles per year. Limited availability at this price. Must qualify for all applicable rebates. Offer valid with approved credit through VW Credit, Inc. Offer cannot be combined with any other offer, sale, promotion or advertisement. Picture for illustration purpose only. See Gunther Volkswagen for complete details. Offer expires April 30, 2019. 2019 Tiguan S VIN: KM059768, MSRP: $26,025. Offer requires $0 down payment, $0 first month’s payment, $0 security deposit. Tax, tag, title, $20 third-party tag agency, $299 electronic filing fee, $675 acquisition fee, and $899 dealer fee due at lease signing. Monthly payment is plus tax. Based on a 39-month lease with 7,500 miles per year. Limited availability at this price. Must qualify for all applicable rebates. Offer valid with approved credit through VW Credit, Inc. Offer cannot be combined with any other offer, sale, promotion or advertisement. Picture for illustration purpose only. See Gunther Volkswagen for complete details. Offer expires April 30, 2019. 2019 Atlas SE V6 VIN:KC513798, MSRP: $39,210. Offer requires $0 down payment, $0 first month’s payment, $0 security deposit. Tax, tag, title, $20 third-party tag agency, $299 electronic filing fee, $675 acquisition fee, and $899 dealer fee due at lease signing. Monthly payment is plus tax. Based on a 39-month lease with 7,500 miles per year. Limited availability at this price. Must qualify for all applicable rebates. 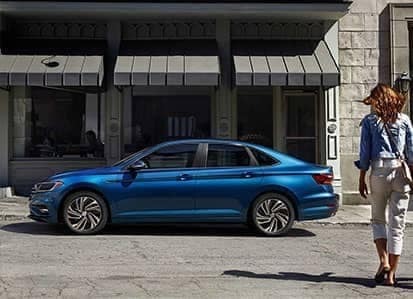 Offer valid with approved credit through VW Credit, Inc. Offer cannot be combined with any other offer, sale, promotion or advertisement. Picture for illustration purpose only. See Gunther Volkswagen for complete details. Offer expires April 30, 2019. 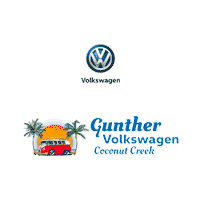 Gunther Volkswagen Coconut Creek offers the best service in the area. We handle a range of repair and maintenance jobs at our dealership, thanks to our expert technicians and latest equipment. Our Coconut Creek Volkswagen service center also offers premium oil change and more for our customers. Dealing w/ Mike Lair is always a good experience. This is the 3rd VW I've bought and Mike is always professional, up to date on his products. The staff is always courteous and professional. Besides liking VW's Mike and the rest of the staff are the reason I deal w/ Gunther, and I live 150 miles away. Happened to see a Golf R was available at Gunther so took it for a test drive. I decided to trade in my 2015 Autobahn GTI.Yameen and Rob, the general manager took great care of me and we struck an agreement that worked for us both. Our family has owned 15 VW's over as many years and we always purchase from Gunther. Excellent prices and customer service. Happened to see a Golf R was available at Gunther so took it for a test drive. I decided to trade in my 2015 Autobahn GTI. Yameen and Rob, the general manager took great care of me and we struck an agreement that worked for us both. Our family has owned 15 VW's over as many years and we always purchase from Gunther. Excellent prices and customer service. Excellent place, and very good service.